With the Waddington airshow coming to an end a few years back and Leuchars dropping off the agenda too, Cosford remains the final RAF organised show at a Royal Air Force base. 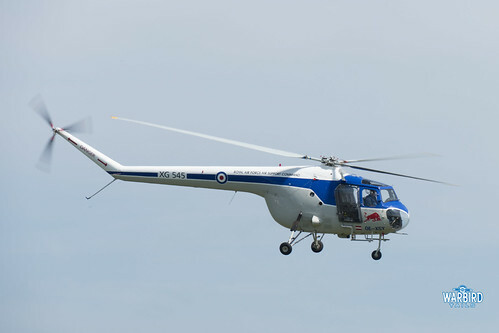 This has meant that in recent years Cosford has had to rise to increasingly high expectations. Having the pull of the sole RAF show has led to some impressive bookings over the years, though recent shows have been a little weather and cancellation effected. 2018 was my first Cosford airshow, I’ve visited the museum on site a number of times, but never the show. 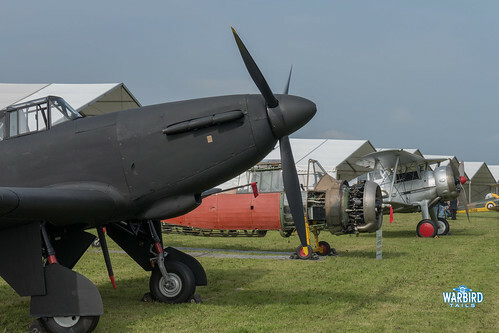 The build up to this years show was something else, with incredible aircraft being confirmed on a weekly basis and what was clearly going to be an unparalleled static line up as a tribute to RAF100 (so much so that I’ve put together a separate post covering that aspect, which will follow). 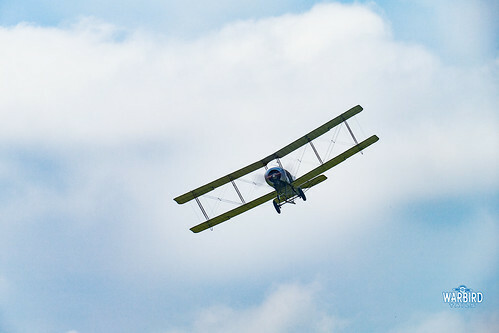 The flying display itself boasted an incredible array of machines from every age of the RAFs long history. The RAF theme was followed diligently with the exception of some well-chosen, appropriate visiting foreign military types which have played a key part in assisting the air force in times of need. The show started mid-morning and a decision was taken for the programme to tell the story of the air force in chronological order, with foreign military machines being dispersed at appropriate times. This resulted in a thorough telling of the force’s history. 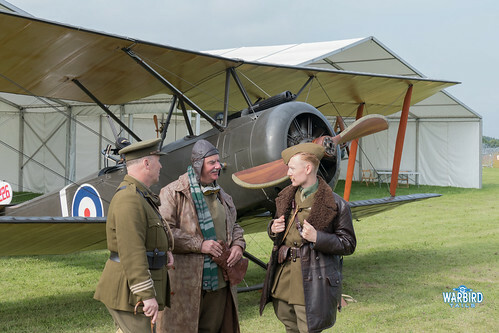 Flying got underway with the Great War Display Team and Tiger 9 team, both of which told important stories about the forces early days and the importance of training in the interwar years. 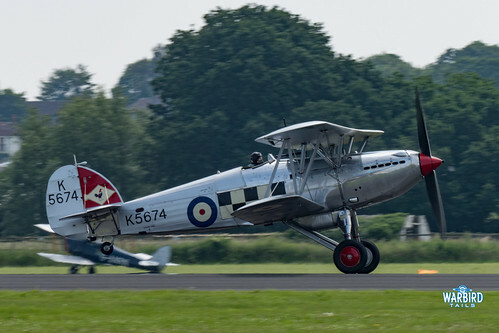 A real coup for Cosford came with the inclusion of the Historic Aircraft Collection’s Hawker Fury. You’ll be hard pushed to find a warbird that is as undercooked as this gem. It really is an important inclusion in any RAF celebration as it represents those heady days of the “world’s greatest flying club” in a way that few other types can. 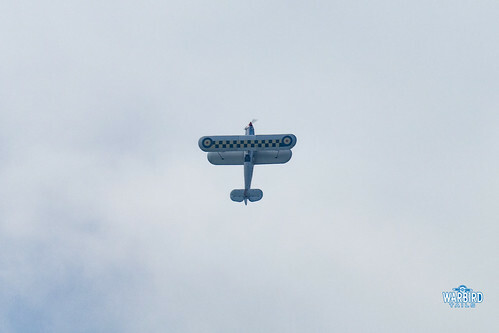 Charlie Brown flew a typically polished aerobatic display noticeably closer than at Duxford (this being the only flying display the aircraft has flown away from home). 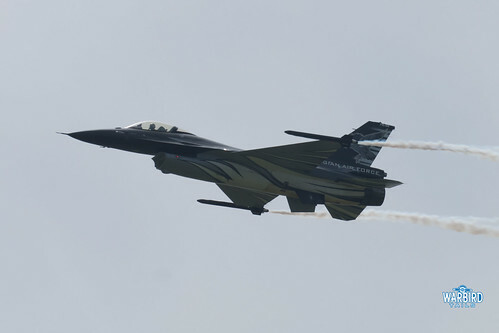 The first of the modern fighters appeared in the shape of the Belgian Air Force F-16 which flew a dramatic routine showing off the powerful performance of this now familiar sight. 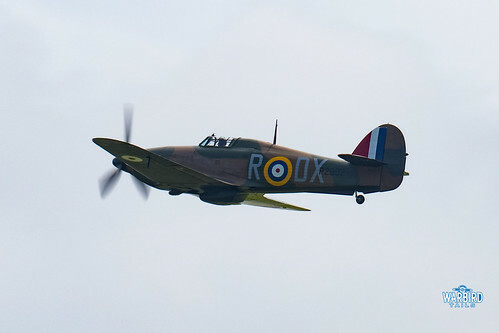 Dave Pulleston delivered a punchy solo in Anglia Aircraft Restoration’s Hurricane I before joining another exotic fast jet. 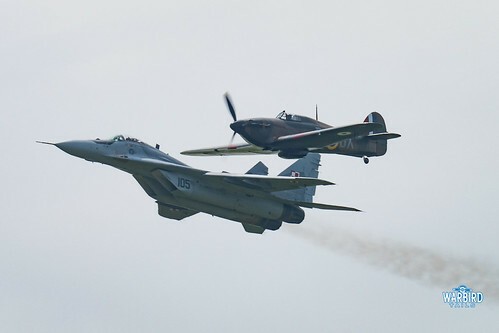 The Polish Air Force MIG-29, resplendent in a Battle of Britain tribute scheme joined the Hurricane for one memorable pass down the display line before the pair broke off dramatically as the MIG began its solo. It had been a good few years since I’d seen any of the Russian jet designs display and the MIG did not disappoint, even including a tail slide during the display, making the most of the great weather. The WW2 theme continued with John Romain delivering a classic account of the Bristol Blenheim and Peter Teichman displaying his Spitfire Mk XI (this show marked the first time that a pair of Mk XIs had been on the same airfield together in a number of years, with the Aircraft Restoration Company’s example being part of the static). Up next, from the modern military was a real UK rarity, all the way from the Southern Hemisphere, the Royal New Zealand Air Force Boeing 757 put on an almost fighter like performance in a brilliant sequence shortly before the BAE Systems Avro Anson displayed. 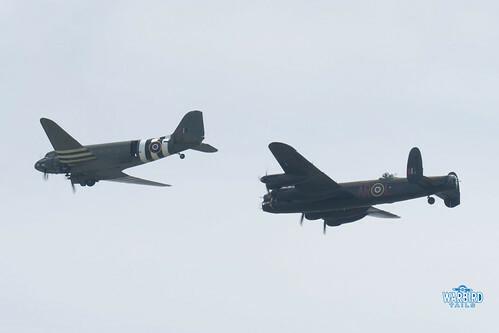 Cosford was one of the chosen events for the remarkable Trenchard display that the Battle of Britain Memorial Flight put together for the 100th anniversary. 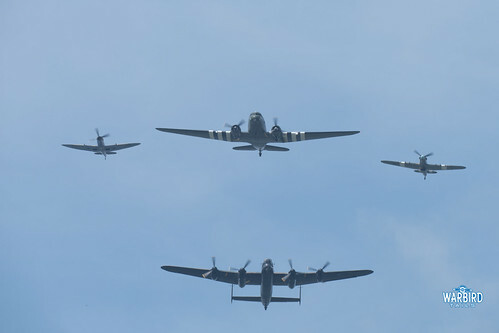 This routine saw the classic BBMF format mixed up with the Dakota leading the two fighters, with the Lancaster flying an impressively tight box. Its a real shame that this display wasn’t able to appear at more events as it really offered a unique sequence. It is certainly surprising that it wasn’t included in Duxford’s show, given that it was the finalé to the RAF100 official events. 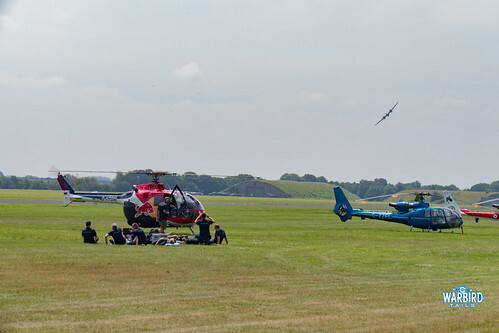 As I’ve alluded to in previous posts, before this show at Cosford the idea of vintage helicopters didn’t especially appeal. That all changed with the inclusion of the Bristol Sycamore in the line up. 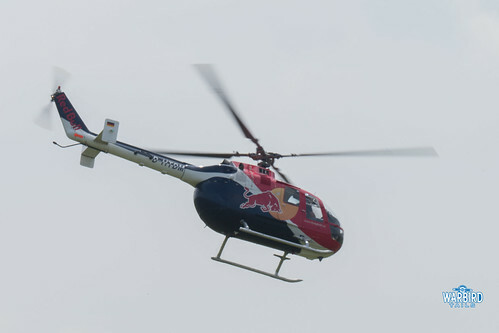 Flying all the way from Austria, this example is operated by the Flying Bulls and being an early helicopter design it appears like something straight out of science fiction. 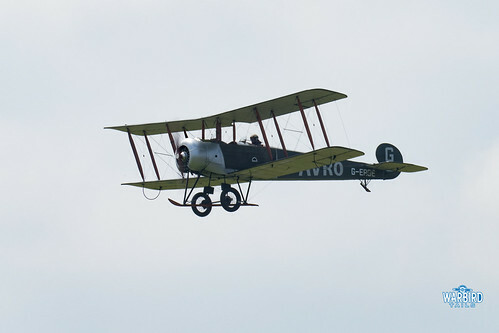 The classic british design was joined in the display by the BD105 which delivered a physics defying aerobatic performance that certainly made an impression on the crowd. Lifting off shortly after the Sycamore was the Westland Whirlwind. 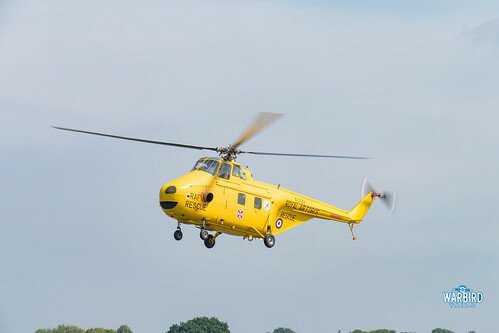 The Whirlwind is the original yellow helicopter responsible for search and rescue operations. That role is now even confined to history so it was fitting to see this historic machine carry out a search and rescue demonstration as part of the flying display. 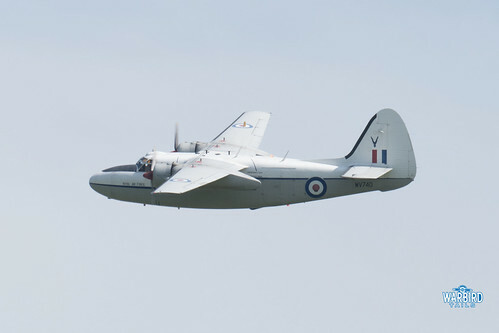 Other highlights of the post-war segment saw training aircraft well presented with a Chipmunk, Jet Provost and the elusive Percival Pembroke display for the crowd. The French Air Force also delivered their usual powerful account of the Rafale. The culmination of the days flying started with the Red Arrows before an extended sequence of modern RAF types carrying out flypasts including the Airbus A400, Tornado GR4, Tucano, Grob Prefect and of course the Typhoon solo display. 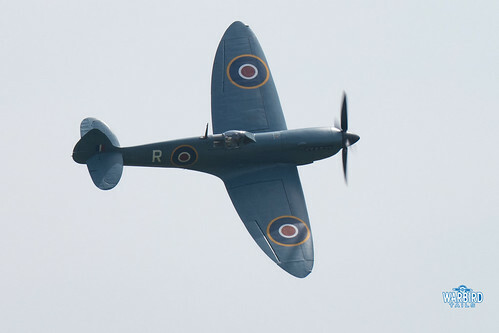 This years show at RAF Cosford is almost certainly once for the history books. To see such a detailed account of the force’s history unfold across the afternoon in perfect weather was truly unique. 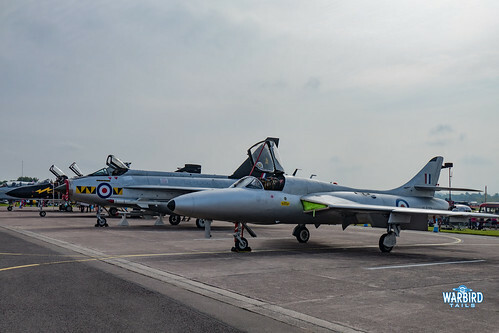 I doubt that any event will ever match the same number of aircraft, when factoring in the remarkable static display and the RAF Museum as well. In a season where there have been plenty of highlights, Cosford most definitely sticks in the mind.